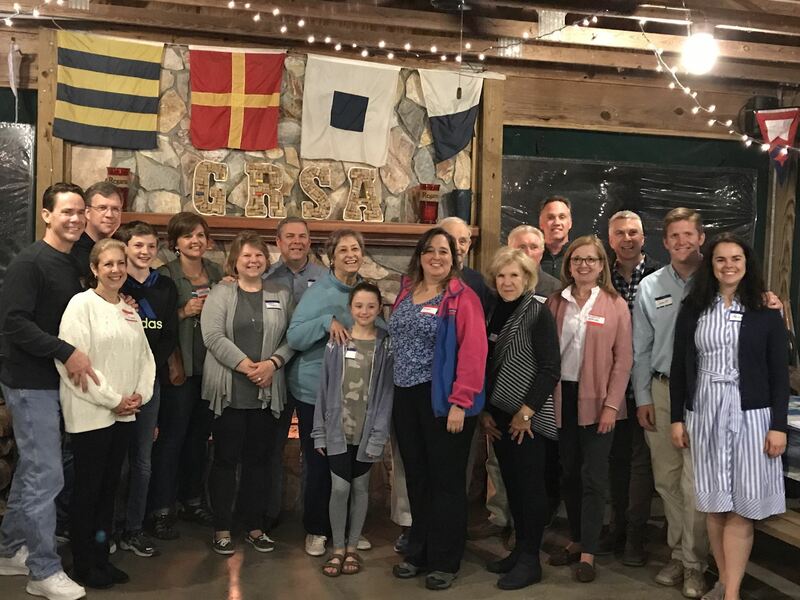 The Greater Richmond Sailing Association would like to welcome our newest members. A New Membership Orientation was held Friday, April 6th at the Pavilion. New members were welcomed by GRSA leadership and members during a networking reception before going over the GRSA Site Rules. New members were also introduced to their mentor (current GRSA members who will help guide the new members and their families through their first year. The following photo of new members (in attendance) and their families was taken during the evening. The race results for the Labor Day Regatta and the Swift Creek Cup have been posted to the GRSA Website under Racing and the Race Results. Weather was clear, yet the wind was blustery, and the temperatures were down into the 40’s. The last race of the Frostbite was canceled due to the excessive winds of this winter season, however the Chili cook-off got the social season off to a resounding start. There were 12 outstanding, stupendous, flavorful, hot, medium, and mild Chilies to sample. There was a flavor for every pallet! The winner was Marty Cookson, receiving a $50.00 gift certificate to the Grill at Waterford. Congratulations to Marty! Thank You for coming out and taste testing our Club’s master chief delights. The GRSA Board of Directors are proposing the following amendment to the Membership section of the GRSA By-Laws. The proposed change is highlighted. The Board will vote on the amendment at the next Board meeting, Monday, March 13. "Membership shall be limited to those persons who own a sailboat to be used upon the waters of the Swift Creek Reservoir (SCR), with the exception of the Social members as noted in section 13. Individuals making application for membership must clearly indicate their intentions and purpose for wishing to have membership in the Association upon their application. Persons who are granted membership contingent upon purchasing a sailboat suitable for use on the SCR shall have until December 31st of the year they are offered membership to acquire such a craft. If they have not acquired a craft by December 31st, their membership automatically terminates. No other non-sailing watercraft may be stored or used at the GRSA site by such members who are admitted under this article until compliance is proven to the satisfaction of theBoard or with Board approval. Failure to comply with this article will cause the possible denial of membership renewal."